Armament 10 x 5"/50, 8 x 6pdr, 2 x 1pdr. Armor, 1 3/4" Shields, 2 1/2" Deck. Speed, 16.5 Knots, Crew 339. 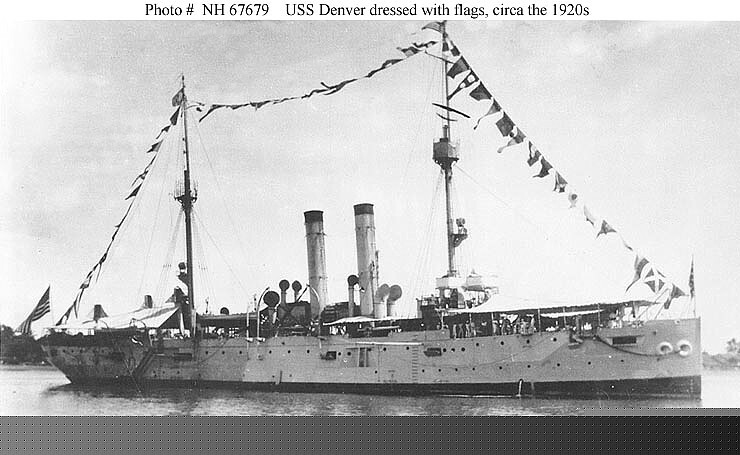 USS Denver (Cruiser No. 14) In port, 7 October 1904. U.S. 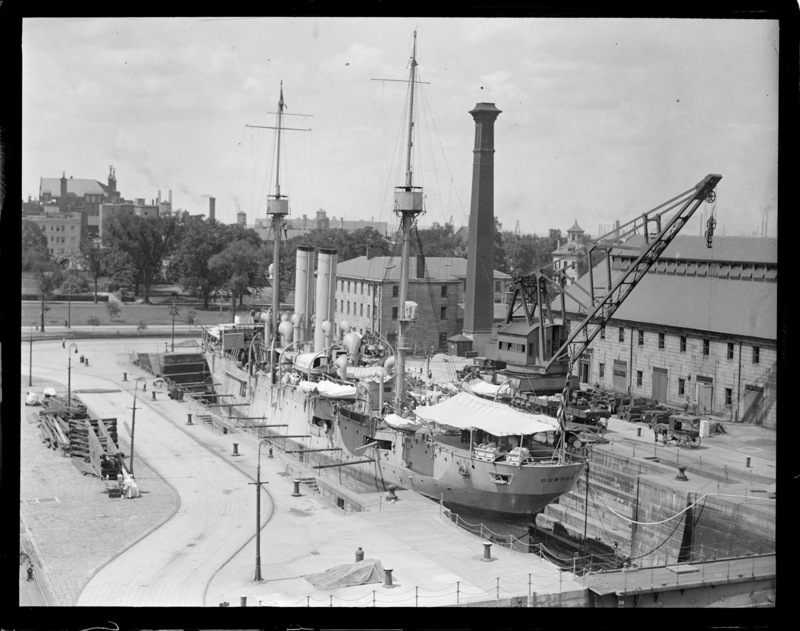 Naval Historical Center Photograph #NH 63593. 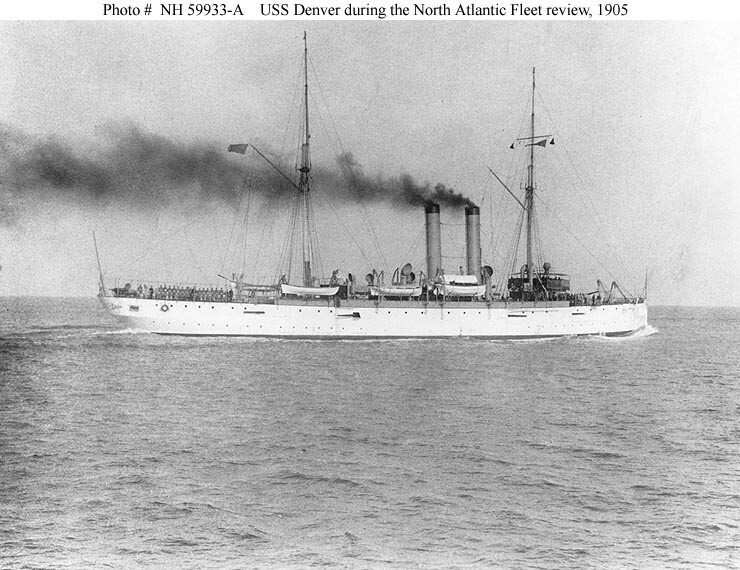 USS Denver (Cruiser No. 14) underway during the North Atlantic Fleet review in 1905. Photographed by the Burr McIntosh Studio. 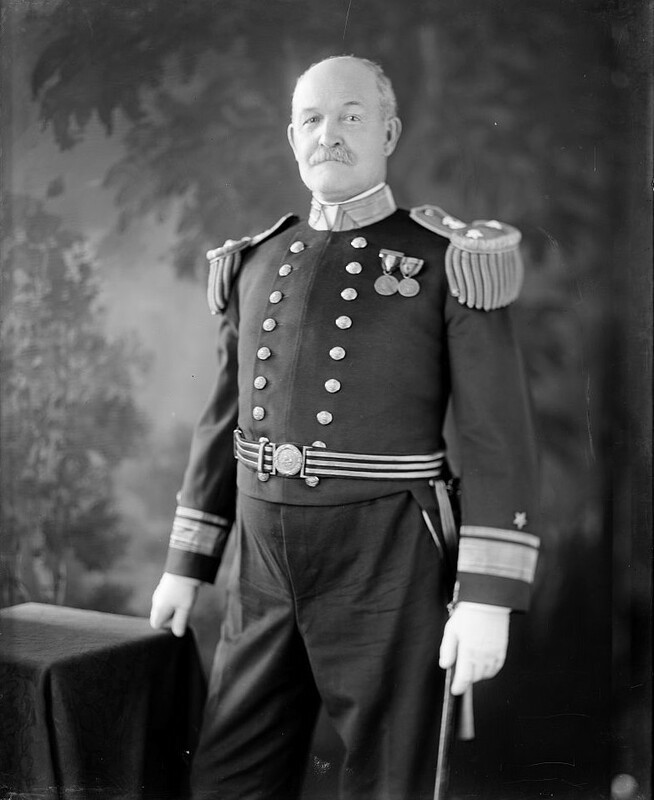 Courtesy of the Naval Historical Foundation, Rodgers Collection. U.S. Naval Historical Center Photograph #NH 59933-A. 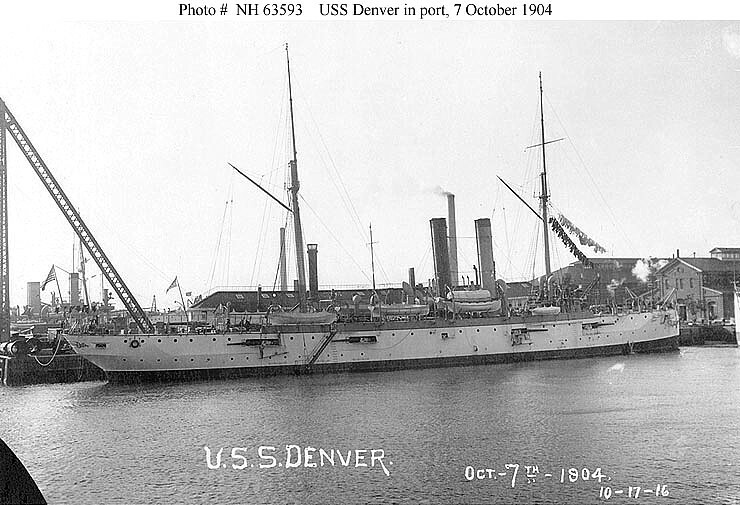 USS Denver (Cruiser No. 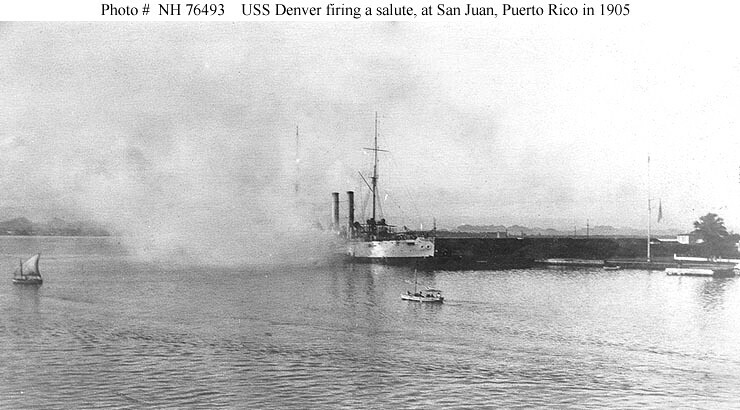 14) Firing a salute at San Juan, Puerto Rico, in 1905. Donation of Edward A. Mayer, 1969. U.S. Naval Historical Center Photograph #NH 76493. 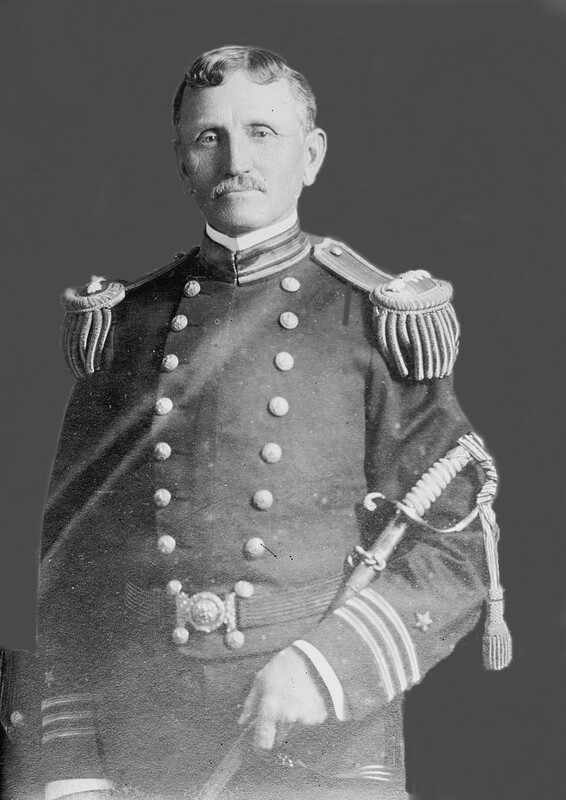 USS Denver (Cruiser No. 14) Dressed with flags for a holiday or other special occasion, circa the nineteen-teens. 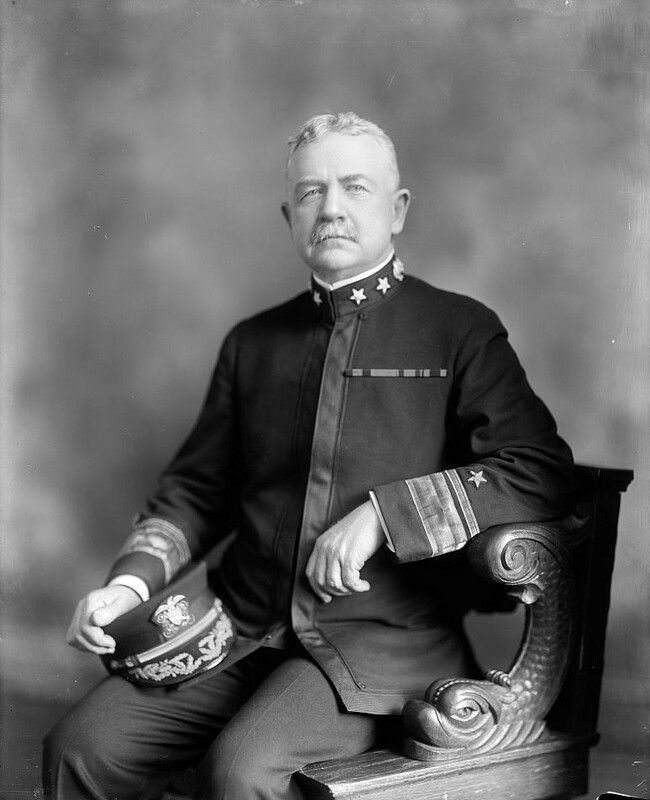 Photograph from the Bureau of Ships Collection in the U.S. National Archives #19-N-9282. 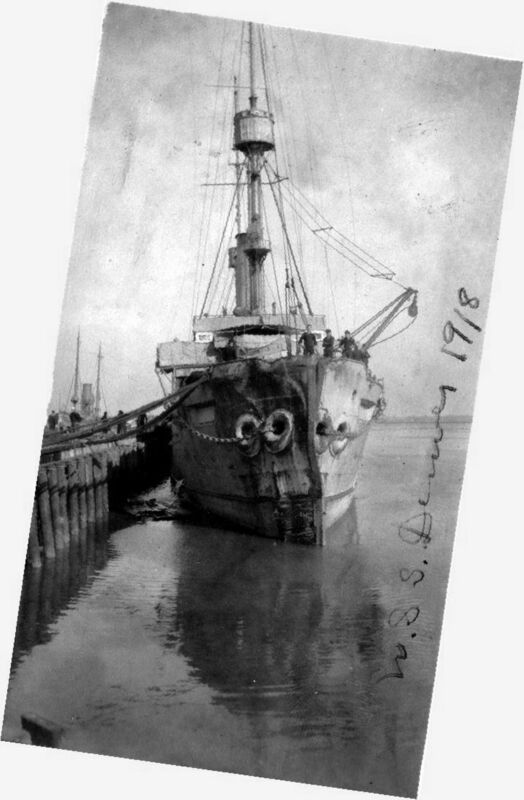 USS Denver (Cruiser No. 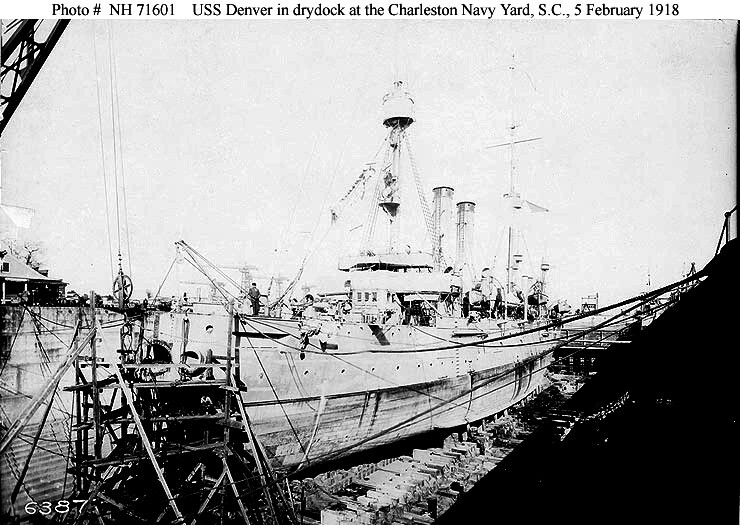 14) Drydocked at the Charleston Navy Yard, South Carolina, on 5 February 1918. Note that the ship's hull is sheathed and coppered at and below the waterline, to reduce the need for drydocking while operating on distant stations. U.S. Naval Historical Center Photograph #NH 71601. 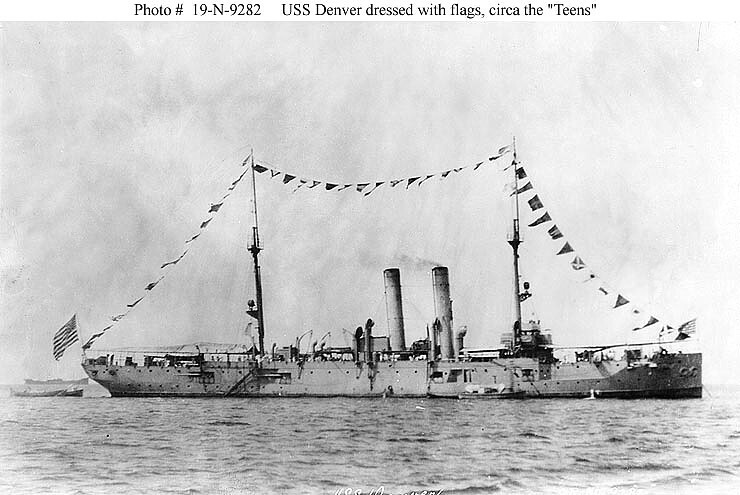 USS Denver (CL 16) Dressed with flags, probably during the 1920s. Courtesy of Donald M. McPherson, 1969. U.S. Naval Historical Center Photograph #NH 67679. 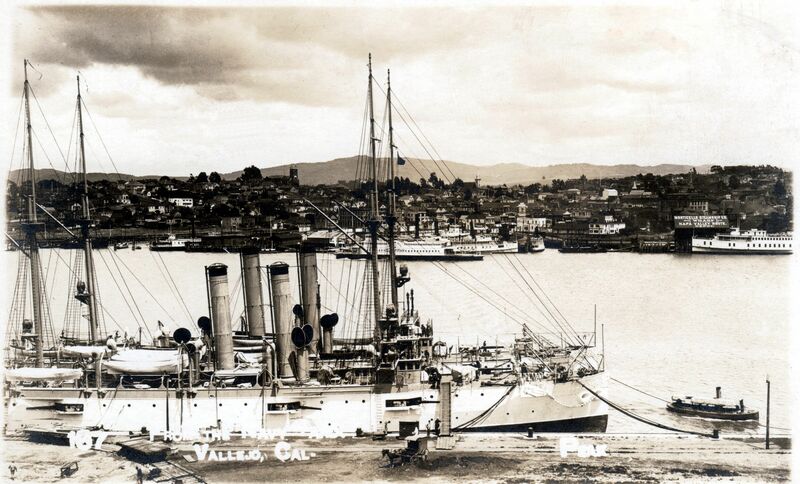 USS Denver (foreground) and USCG no. 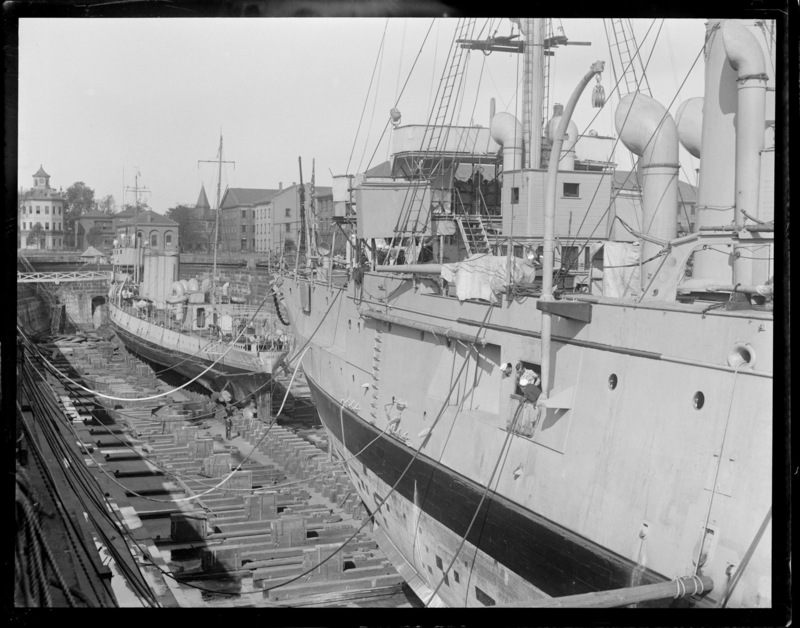 13 Jouett in drydock at Charlestown Navy Yard, 14 October 1928. 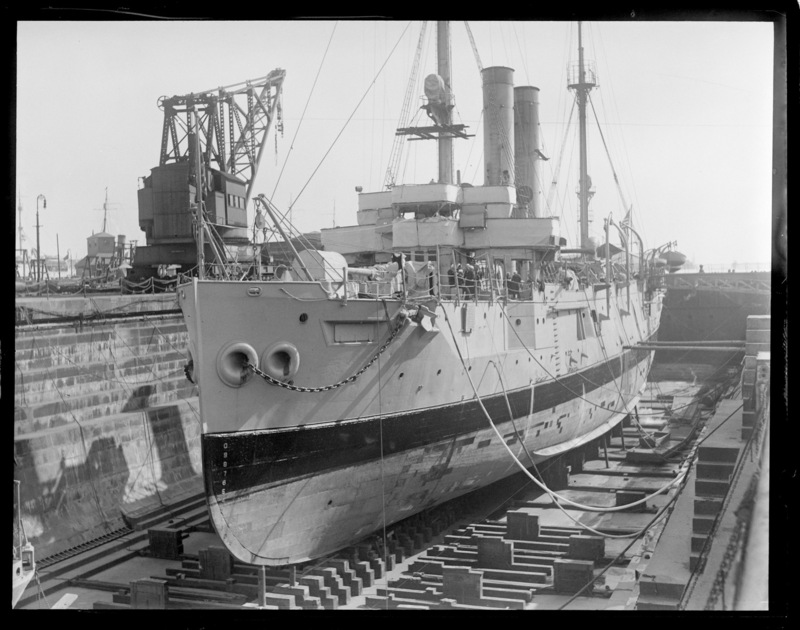 USS Denver in drydock at Charlestown Navy Yard, 14 October 1928 . 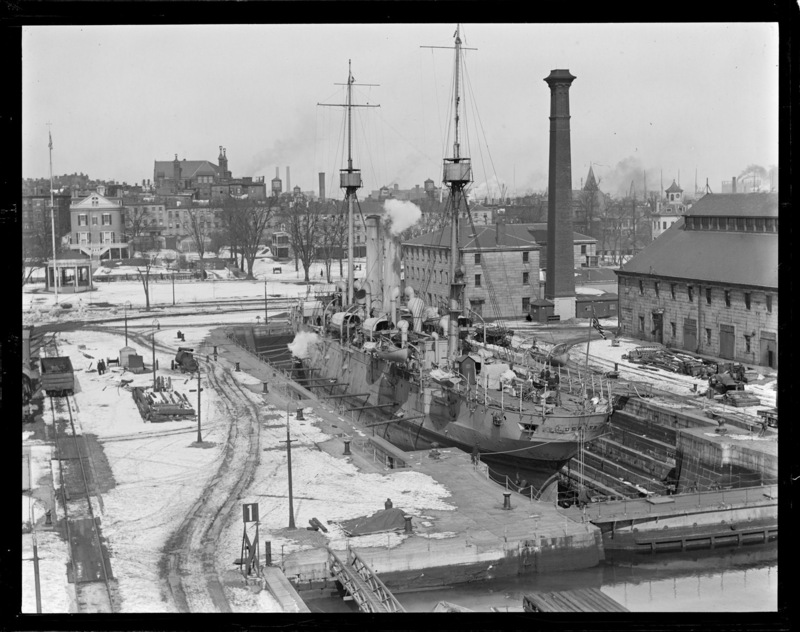 USS Denver in drydock at Charlestown Navy Yard, 1930.